Looking for something to wine about in Spokane? Look no further, we are your Spokane wine headquarters…okay, we are one of 24 amazing wineries you can visit across the Lilac City but we proudly boast 45 different Washington wines on the menu (22 of which recently received medals at the Seattle Wine Awards). The sun is shining (mostly) and the patio is open, so check out all of our upcoming events, music and more! We would love to see you soon. THANK YOU for an amazing May. Another record month. YOU, Spokane, are the very best. FRIDAY – TGIFF (Thank God it’s First Friday); we’ve got a grape line up for you! Come see ELEVEN – A STUDENT EXHIBIT: Eleven of Kathleen Cavender’s art students will be showing their paintings. Reception 6-8pm. Enjoy music by Karrie O’Neill. Northwest Cellars visits with THREE brand new wines including two newly anointed GOLD MEDAL winners at the Seattle Wine Awards. All NWC wines are 10% off and 20% off for any mix/match case. SATURDAY/SUNDAY – The sale continues. 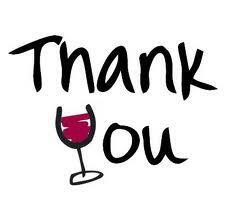 Enjoy a sample of 8 NWC wines for only $5 (members taste free) The Final Sip is Saturday from 9-10pm! THURSDAY – Tango. Come watch, come learn, come tango with Tango Milonga from 7-9pm. Glass and bottle specials for tango dancers. FRIDAY – SATURDAY: We welcome visiting winery, Skylite Cellars to the space. Fresh off of their 4 Seattle Wine Award medals, Skylite is introducing their brand new 2008 Walla Walla Cabernet. The 2007 Cab was our best selling wine and is now SOLD OUT. Cheryl is bringing 2 cases. Club Nectar members can come down and get the final bottles before it’s gone. THIS WON’T LAST. Be one of the first to try the spectacular 2008 vintage. All wines will be 15% off and 25% off of 6 packs or more. Don’t forget about The Final Sip (9-10pm). For only $10 come taste up to 8 samples from all the wines remaining open from the weekend. SATURDAY – Port for pops. We’ve got FREE sips of our popular port and FREE chocolate for all the dads who come down to Nectar. FRIDAY – Music from Daniel Mills (Son of Brad). Dave Matthew’s says, “He’s organized, that’s a good thing.” Come hear the hits from today. Daniel is super fun and we hope to continue to introduce our Nectar fans to him. 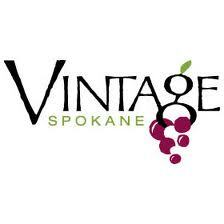 VINTAGE SPOKANE – Over 60 wineries, delicious cuisine, Viking Chef Demos, and fun wine experience activities. Join the 2nd annual event at Northern Quest Resort and Casino where you can Sip, Taste, Stay and Play. Tickets are only $45 ($60 for limited VIP entrance). Get your tickets here. 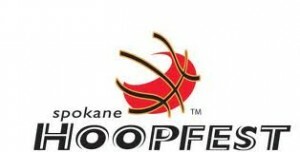 Welcome Hoopfest players and spectators. Need a place to unwind, relax, get a glass of wine or a bite of food. We’ll be here all day 9am – 6pm Saturday and Sunday with drink specials, food from Just a Couple of Moms and a full stock of sports drinks and water. Win your bracket? Come in for a glass of complimentary CHAMPAGNE to celebrate.